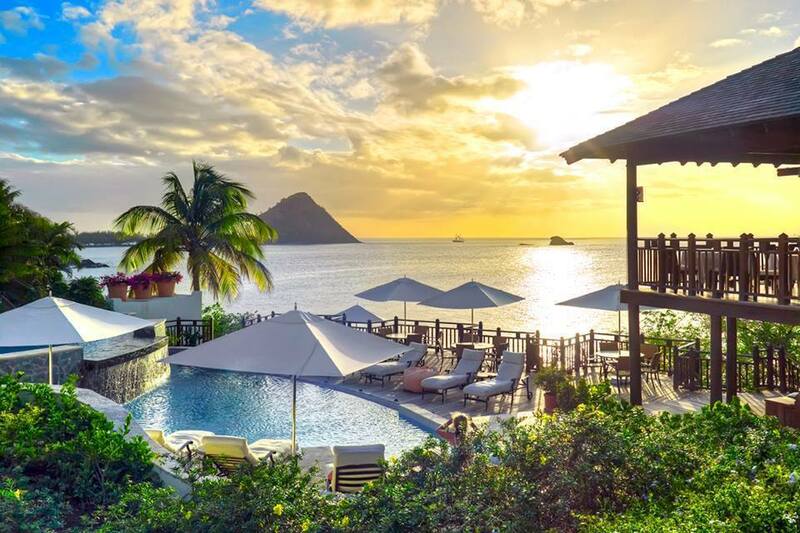 St. Lucia is the perfect place for a honeymoon. This beautiful island offers breathtaking beaches and natural beauty, luxurious resorts, and plenty of adventure and romance. 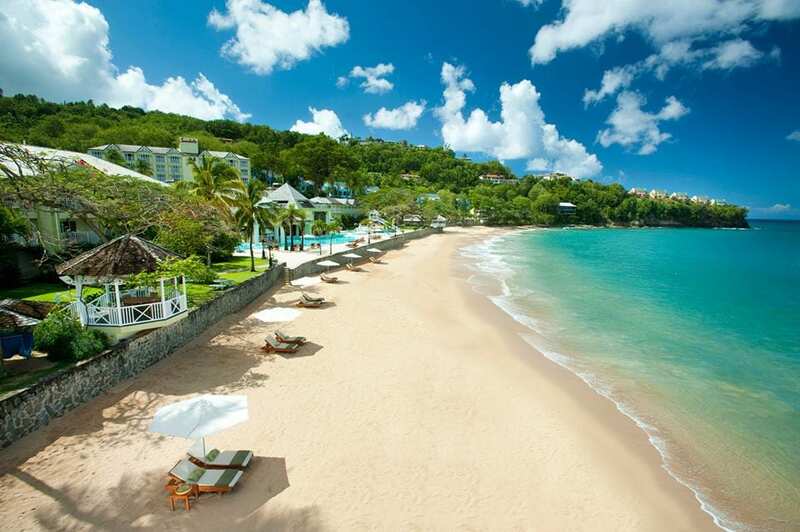 Read about our five favorite resorts in St. Lucia for honeymooners below! Jade Mountain St. Lucia is one of the Caribbean’s most luxurious and romantic resorts for honeymooners. At this stunning resort, your bedroom, living area, and private infinity pool are combined beautifully with a missing fourth wall, offering endless views of the natural beauty in St. Lucia. You will feel as though you are floating above the Caribbean Sea in these gorgeous sanctuaries, with sweeping views of St. Lucia’s Pitons. We love Jade Mountain because of the exclusivity and privacy it offers at every corner. For beaches and more restaurant options, plus bars and watersports, you have full access to Jade Mountain’s sister resort, Anse Chastanet. 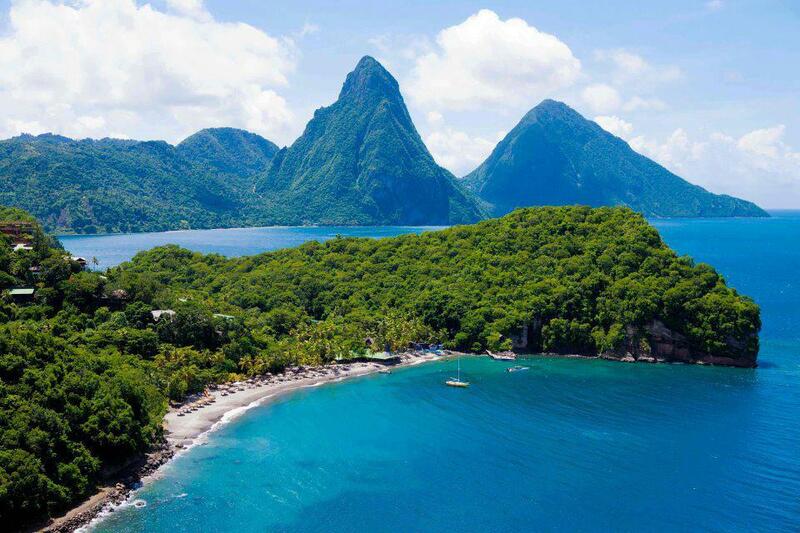 Anse Chastanet, the sister property to Jade Mountain, is a stunning dedication to St. Lucia’s natural beauty. The property is set on 600 lush tropical acres bordering two sand beaches. Enjoy the twin Pitons in the background, in addition to two bays that are part of a designated marine reserve protecting miles of colorful coral reefs full of tropical fish. Each suite at Anse Chastanet is unique; in one, enjoy a balcony surrounding a full-grown red gommier tree. Some suites have their 4th wall open entirely to the vistas, yet still remain private. Sandals Regency La Toc is an exceptionally glamourous option for honeymooners. This 210-acre estate sits ona half-mile, crescent-shaped beach. In addition to the gorgeous views and stunning oceanfront suites, we love this resort because it boasts a challenging executive-style golf course. Treat yourself to the Five-Star Diamond French cuisine and other international dishes with the Stay at 1, Play at 3 exchange program. With 3 Sandals resorts on the island, enjoy access to a total of 27 restaurants! 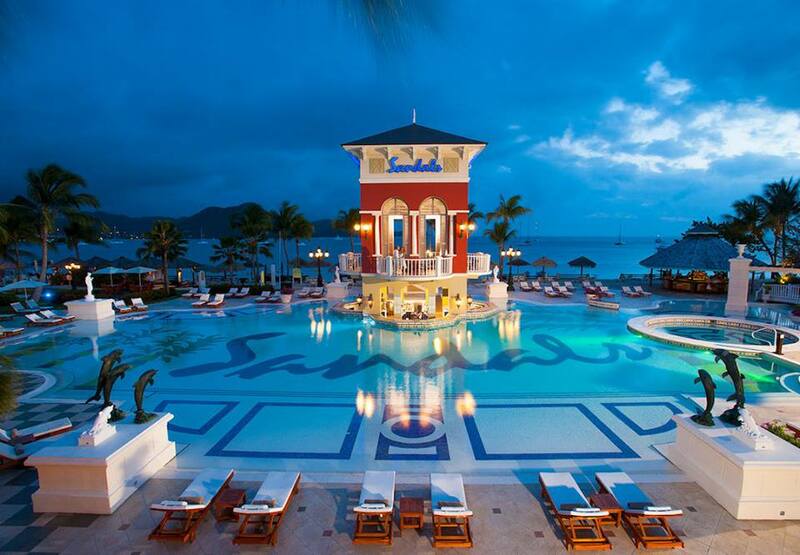 Sandals Grande St. Lucian sits on a mile-long peninsula of white sand beach on St. Lucia’s northwest coast. It is cradled to the west by Rodney Bay, where you can find the calmest waters in all of St. Lucia. Enjoy breathtaking panoramic views of volcanic mountains covered in lush green, rising out of the clear blue sea. 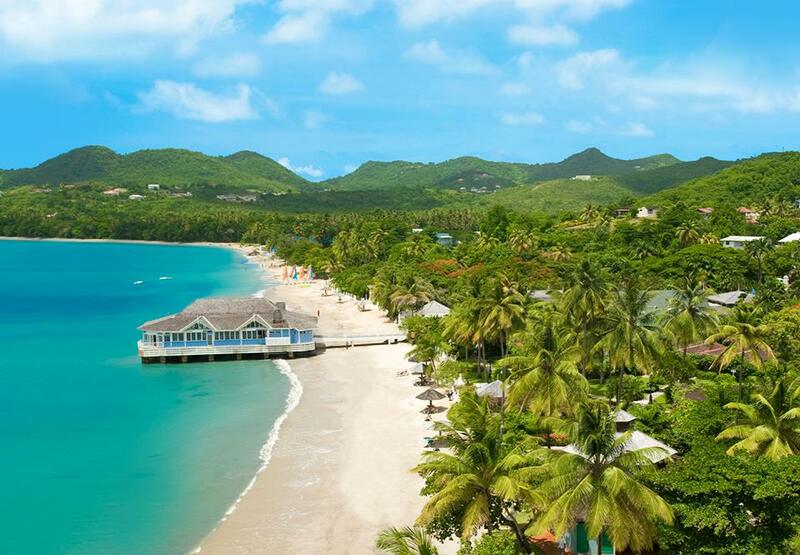 In addition, Sandals Grande St. Lucian is full of natural beauty and pure romance. Sandals Halcyon Beach offers guests a charming and intimate sanctuary that is perfect for honeymooners looking for peace and relaxation. In addition, here you can take to the water on a kayak or sailboat, or explore under the sea with snorkeling right from the resort’s white-sand beach. Lastly, we suggest booking one of the all-new Beachfront Honeymoon Butler Suites which include a private deck and plunge pool. Call Enchanted Honeymoons Travel today at 402-281-3022 in order to hear more about these and other amazing St. Lucia honeymoon resorts.